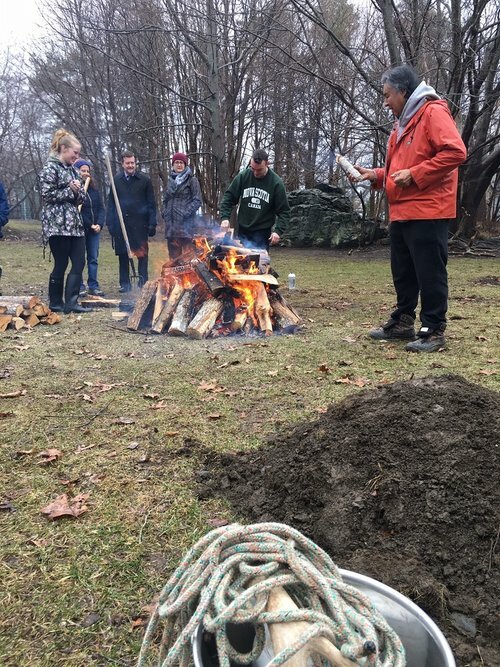 Participating in the first sweat lodge ceremony on campus at Saint Mary’s was an unforgettable way to wrap up the school year for a small group of students. “It’s a really special experience, that’s for sure,” said John Morrison, an Anthropology major, shortly after emerging from the two-hour ceremony on Monday, April 15. The sweat lodge structure was built the day before on the lawn behind The Oaks, using wood and rocks gathered in the area. For several hours prior to the ceremony, rocks were heated in the sacred fire pit, then moved into the lodge, where water was poured onto them to create steam. Raymond Sewell, SMU’s Indigenous Student Advisor, said students have long been inquiring about having a sweat lodge on campus so it was nice to see it become a reality this week. Over the past term in the Indigenous Peoples of Canada course, students had been learning about cultural and historical challenges for Indigenous Peoples The course is taught by Professors Trudy Sable and Roger Lewis and one of their guest speakers was NSCC’s Indigenous Student Advisor Gary Joseph, a Cree Elder married to a Mi’kmaw woman from Shubenacadie. 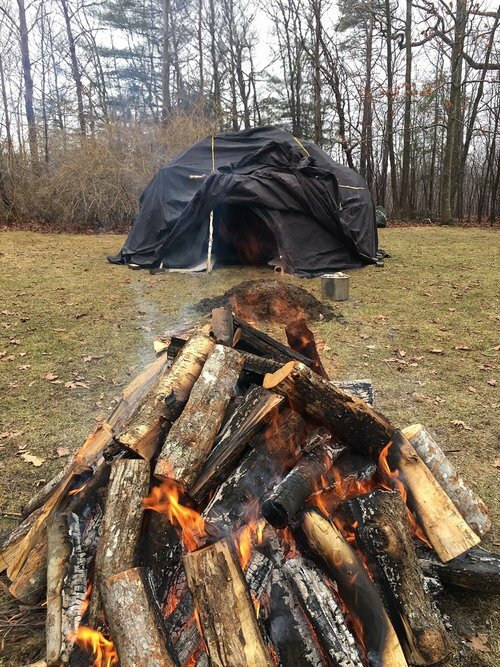 During his class presentation, Joseph guided students through a mock sweat lodge experience. 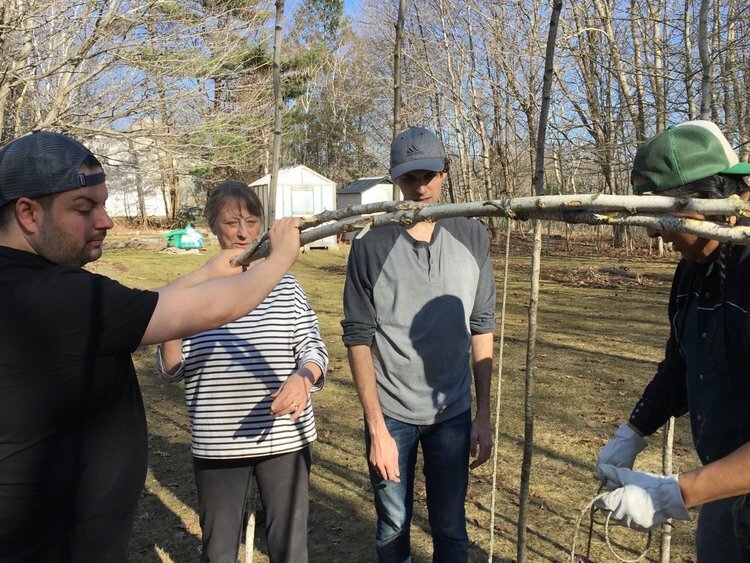 “The students really liked it and felt it showed the resilience of Indigenous cultures healing and moving forward given the painful and often unrecognized history they had been learning and discussing in class,” said Dr. Sable. Students expressed an interest in trying the real thing, which took some advance coordination but it came together with help from Sewell and his father, as well as Joseph, plus funding from the Office of the Vice-President Academic & Research. “This just seemed like an opportune time and an experiential continuation of our class. There is a lot of interest to do more of them,” said Dr. Sable. 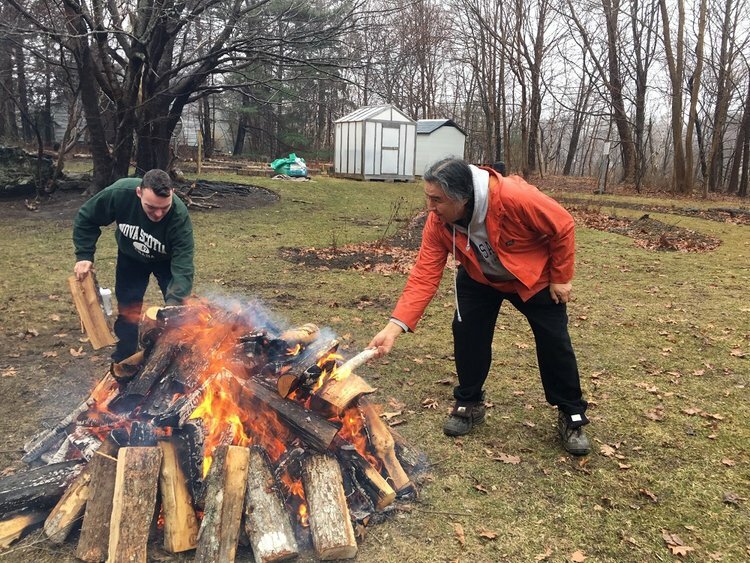 The sweat lodge will remain on campus for a year and Sewell looks forward to coordinating future events. 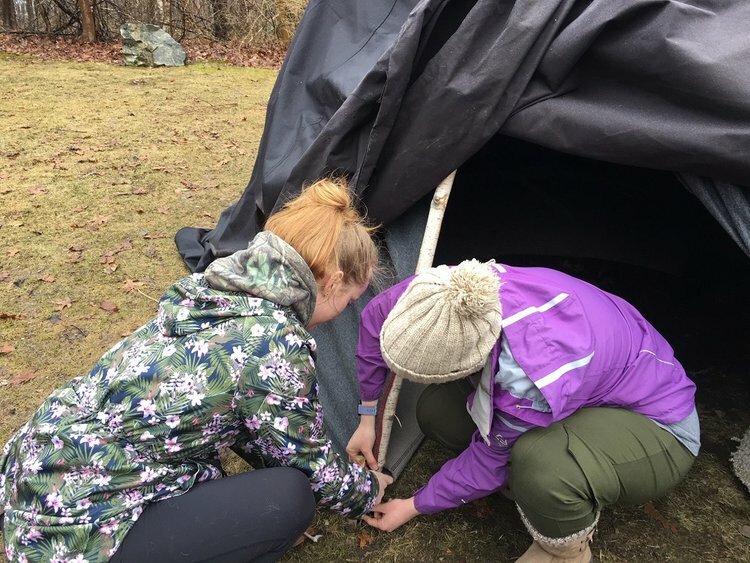 Stephanie Dionne, an Anthropology major, strongly encouraged other students to try out the sweat lodge when the opportunity arises again. It’s an important addition to the campus as a welcoming space for Indigenous students, but also as a helpful gateway to intercultural study for other students, she said. “It’s a starting point to broader understanding. I feel like it’s giving us a window into the life of other people,” said Dionne. From left to right: Tom Brophy, Dr. Malcolm Butler, The Honorable Tony Ince, The Honourable Wilfred P. Moore, Q.C., LL.D., Ms. Jane Adams Ritcey, Sylvia Parris-Drummond, Deborah Brothers-Scott, Erin Sargeant Greenwood, and Tony Colaiacovo. On April 9th, 2019, the Honorable Tony Ince, Minister of the Public Service Commission and Minister of African Nova Scotian Affairs, recognized the generosity of the donors behind the creation of the new Viola Desmond Bursary. The Honourable Wilfred P. Moore, Q.C., LL.D., and Ms. Jane Adams Ritcey were recognized with a Notice of Motion read by Minister Ince before the legislature, receiving a round of applause from its members. The Viola Desmond Bursary was announced on November 8, the date of Viola’s heroic anti-discrimination action in 1946. The bursary is fully-endowed and will be given out every year to full-time African-Nova Scotian students at Saint Mary’s. The bursary was established with the permission of the Desmond Family. The initial award amount will mark the year of Viola Desmond’s anti-segregation action, 1946, with students receiving $1,946. While this award is not renewable, it may be awarded to the same student more than once. While preference for the bursary will be given to students in the Sobey School of Business, the bursary may also be awarded to students in programs featuring entrepreneurship. Preference will also be given to female students from Halifax County. Students must also have a financial need. Please join the Saint Mary’s University community in celebrating International Women’s Day. There are a variety of events taking place across Halifax and here on campus for you to take part in. 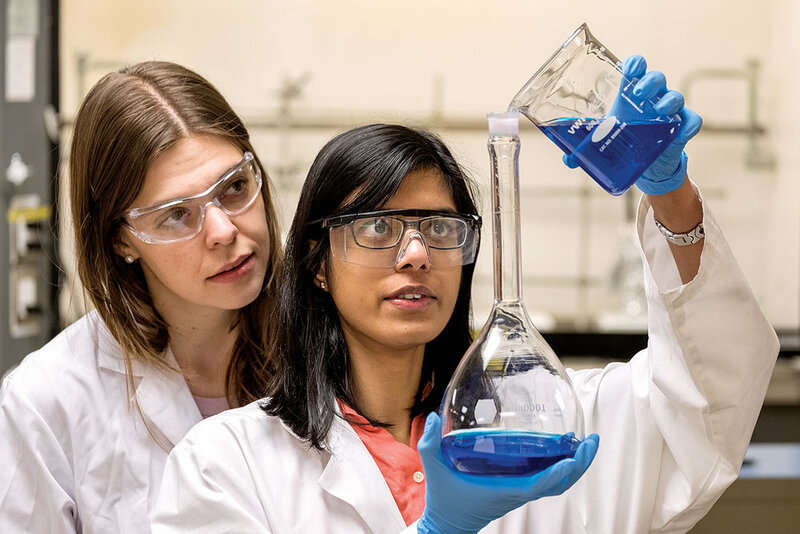 This morning Saint Mary’s professor Dr. Clarissa Sit is one of five “remarkable women researchers’’ participating in a special panel discussion at the IWF International Women’s Day breakfast on Friday, March 8. Between 300-350 people are expected to attend the event at the Westin Hotel in Halifax to celebrate the occasion. Moderated by Dr. Alice Aiken, VP Research at Dalhousie University, panelists will speak about how their work addresses the UN Sustainable Development Goals for 2030, and how they are having impact locally, regionally, nationally or internationally. Dr. Sit completed her PhD at the University of Alberta before moving to Boston to work as an NSERC Banting and Alberta Innovates Health Solutions Postdoctoral Fellow at Harvard Medical School. She is now an Associate Professor at Saint Mary’s; her lab investigates microbial warfare and other interactions between environmental fungi and bacteria. 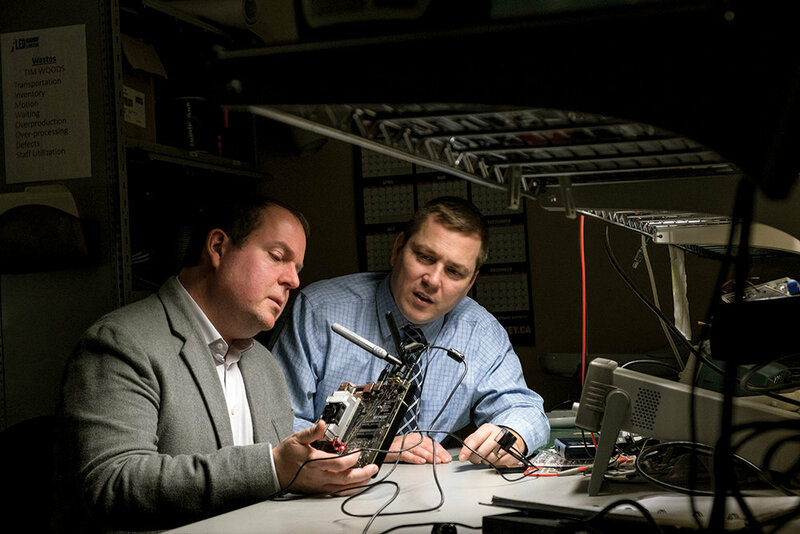 The team uses an applied science approach to tackle human health challenges, such as antibiotic-resistant bacteria, and ecological pests, such as White Nose Syndrome in bats and American Foulbrood Disease in honey bees. The event was organized by the International Women’s Forum - Atlantic Chapter (IWF Atlantic). The IWF is a global non-profit, non-partisan membership organization created in 1982 to exchange ideas, to learn and inspire and to build better leadership. The Atlantic Chapter of IWF Canada annually hosts a breakfast on International Women’s Day. This evening, the Saint Mary’s University Women’s Centre is holding an event that will feature performances, speakers and a student panel. The Celebration of Women event will feature prominent alumna Candace Thomas, Q.C., a partner with Stewart McKelvey, who was named one of the top 100 accomplished Black Canadian Women. The Celebration of Women event takes places from 6 p.m. to 9 p.m. on the 5th floor of the Student Centre. While the event is free, they will also be accepting donations that will go to Adsum house. Visit the SMU Women’s Centre Facebook page for more information. More information on events taking place across Halifax. More information on International Women’s Day.